The cold, wet and windy weather can take its toll on our skin. That’s before we start talking about late nights, lack of sleep and the impact of December’s festive party season. Improve tired, lacklustre winter skin with products to help moisturise, nourish and most importantly, get your skin’s radiant glow back. The perfect product to help soften and soothe dry areas that can occur so frequently due to winter’s harsh weather conditions. This ‘everything’ balm contains 100% certified organic, unrefined coconut oil. Nutrient-rich coconut oil has a long history of use in the tropics, where it is treasured for its rehydrating, softening and elasticising properties. 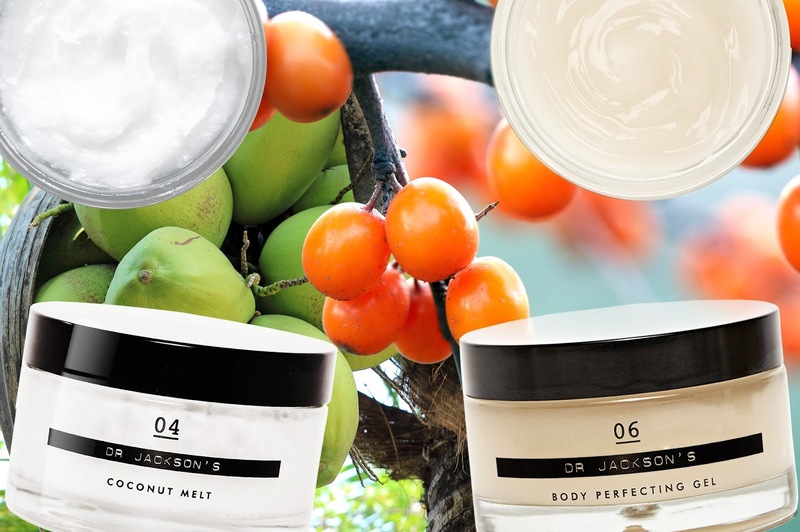 Dr Jackson’s Coconut Melt is 100% natural and ideal for moisturising lips, skin and cuticles, smoothing the appearance of fine lines, illuminating the complexion, conditioning the hair and removing makeup. A wonderful multi-purpose product to hydrate anywhere and everywhere your winter skin needs a bit of added nourishment. The ideal winter accompaniment, encouraging energised skin. This exhilarating gel is rich in antioxidants to moisturise, revitalise and retexturise the skin. With a light yet decadent formula, the 06 Body Perfecting Gel absorbs quickly and tightens and firms skin all over the body, giving it a silky, lustrous feel. Ideal for cooling tired muscles post-workout or post-yoga, with a restorative aroma of patchouli to act as a soft base for your perfume or cologne. A moisturising and revitalising gel to complement your skincare resolutions. Be the first to hear about science-led skincare, new product launches, skincare tips, ingredients news, special offers, sustainability efforts and environmental actions. Enjoy 15% off your next order when you sign up to our newsletter.